Motor vehicle accidents are all-too-common events that can lead to significant injuries, time off from work and even death. If you are injured in an accident due to another driver’s negligence, you have a right to recover compensation. Gullberg, Box, Worby & Rogers LLC can help you recover medical bills, material damages, lost wages and additional pain and suffering charges. With over 30 years of personal injury experience, we can protect your physical and financial health. If you were injured in a motor vehicle accident, call our dedicated legal team at 309-734-1001 to schedule a free consultation. We will ensure that you understand your rights and aggressively pursue maximum benefits on your behalf. Our firm will carefully evaluate the circumstances of your accident and provide an honest evaluation of your expected case outcome. We know how to pursue maximum compensation in the wake of a serious injury, and we will assertively protect your rights. 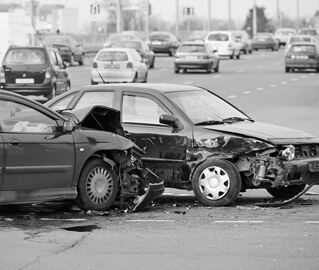 Unfortunately, serious motor vehicle accidents cause thousands of deaths each year. When your loved one is killed due to the negligence of another driver, Gullberg, Box, Worby & Rogers LLC can help you file a wrongful death claim. While this action can never come close to the value of a family member’s life, it can offer necessary financial protection, including recovering funeral costs, loss of the deceased’s income and medical costs incurred before death. If you are involved in a serious motor vehicle accident, call our experienced attorneys at 309-734-1001 to defend your rights and collect the compensation that you deserve. You may also contact us online to schedule your free case evaluation. As with all personal injury cases, you do not pay us unless we recover compensation on your behalf. Our lawyers have offices in Monmouth, Peoria and Bettendorf.